I have to state upfront, this recipe is not strictly from Household Management. I first came across the vegetable ‘kohlrabi in Household Management, and at around the same time I noticed it coming into season (with the same name) in my local market here in Germany, where I’m currently living. Mrs Beeton’s description of the vegetable (see link below) had me intrigued (I’d never heard of it before), and I wanted to know more. Recently, I ordered ‘Cream of Kohlrabi Soup’ from the canteen of the company I’m working with. 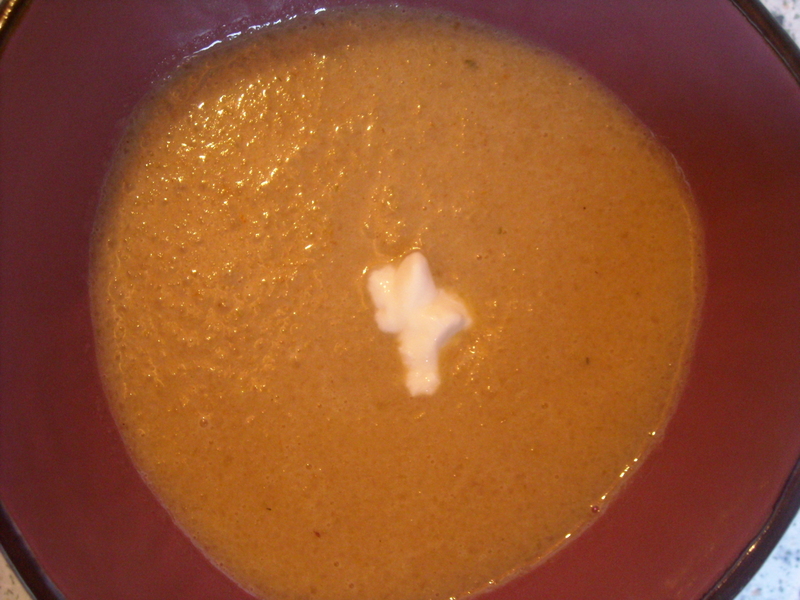 It tasted pretty good – very mild and creamy. Even my boyfriend would have liked it, had he been brave enough to try! Mrs Beeton tells us “Although not generally grown as a garden vegetable, if used when young and tender, it [kohlrabi] is wholesome, nutritious, and very palatable.”. Not to be overly critical or anything, but Household Management doesn’t exactly specify what you can do with this wholesome, nutritious and very palatable vegetable. The description of kohlrabi is plonked somewhat ignominiously under an entry for boiling broccoli (or ‘brocoli’, as she calls it). In a frying pan, fry the onion in the oil and butter until soft. 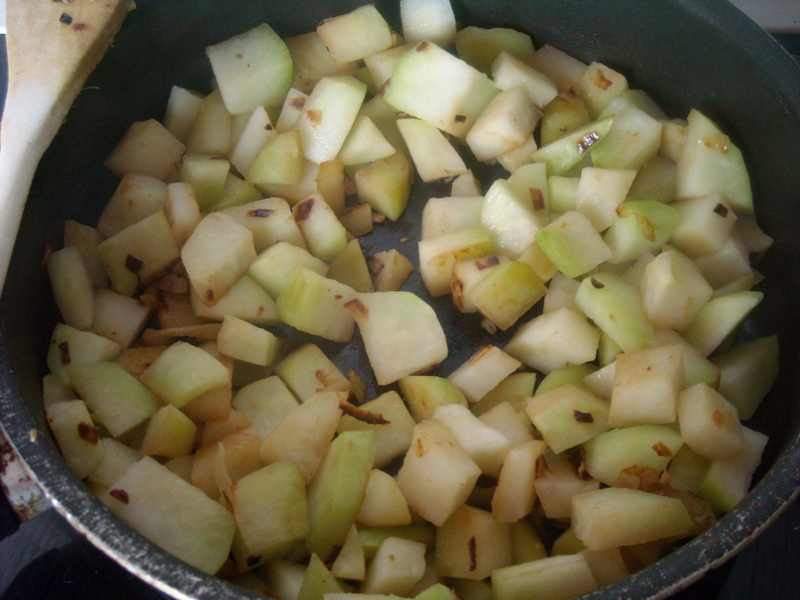 Add the kohlrabi and fry until slightly soft and light brown (6-8 minutes). Then add the flour, stir everything together until flour is fully combined, and add the vegetable stock. Simmer for approximately 20 minutes until the kohlrabi is tender (the liquid should be smelling pretty tempting by this stage!). Put the mix in a processor with the rest of the ingredients and blend until smooth. Return to the stove and reheat for 1-2 minutes. Serve (with a dollop of sour cream, if desired). 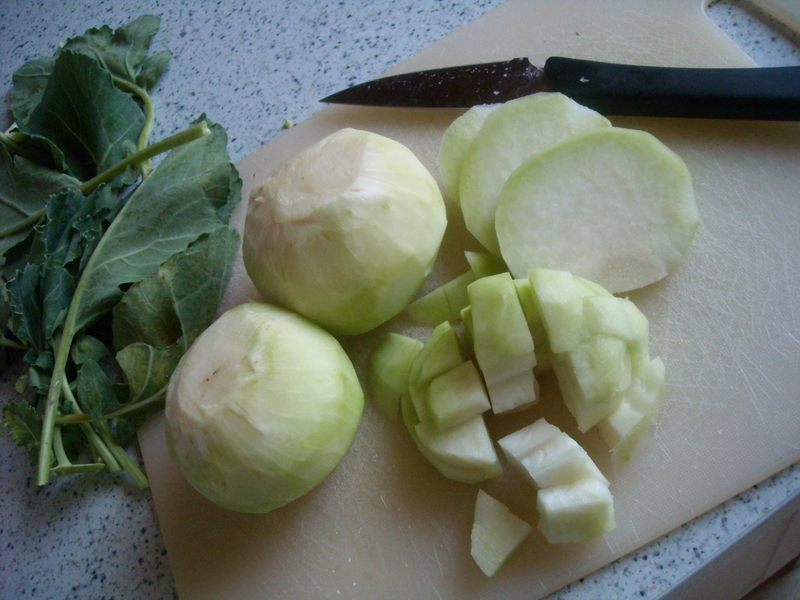 I read on a website (http://www.greenearthinstitute.org/kohlrabi.htm) that medium / large kohlrabi needs to be peeled before use. I haven’t a clue about the difference in looks between a small and large kohlrabi (the kohlrabi at the market all seemed the same size), so I peeled them anyway and cut them into small cubes. When I first smelled it, I thought, ‘Hmmm, this isn’t exactly interesting!’, but when it started to fry with the onion, it took on a much more tempting scent. 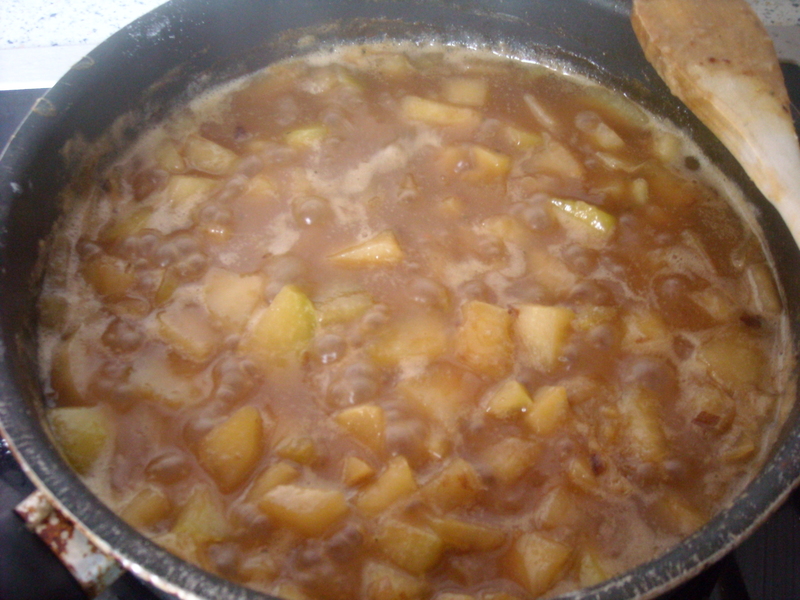 This impression continued to be confirmed as the vegetable mix simmered in the stock. The whole kitchen began to smell very inviting! The final product is incredibly delicious (and I’m not just saying that because it’s my own recipe!). When cooked, kohlrabi really does taste densely creamy – the taste doesn’t overwhelm your palate. Even though it was only 10am, I raced for a spoon and ate a bowl immediately. I’m not sure if any will be left when my boyfriend finally gets out of bed! 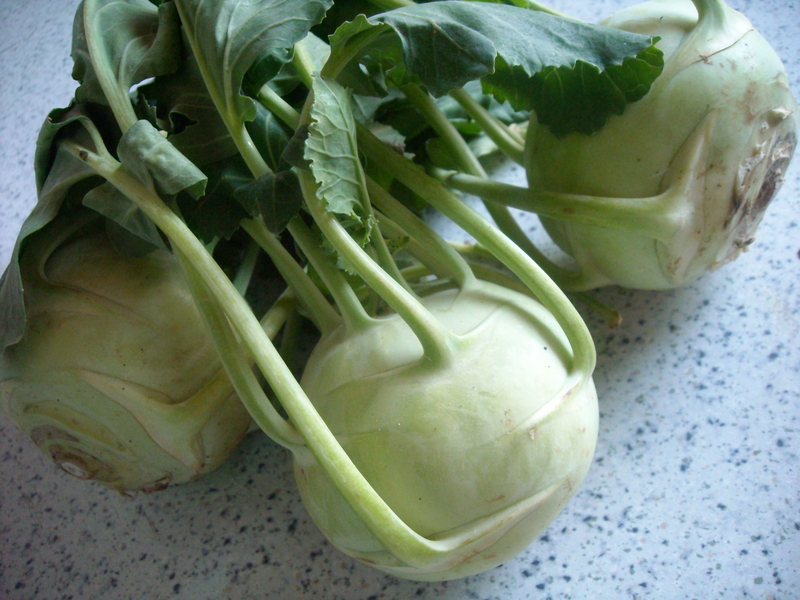 By the way, is kohlrabi both plural and singular in English and German? This entry was posted on March 21, 2010 at 11:00 am and is filed under food. You can follow any responses to this entry through the RSS 2.0 feed. You can leave a response, or trackback from your own site.